Check out some of these great businesses! Café Du Bone is a locally owned and operated business whose first priority is the care of our customers and their pets. Along with our delectable treats, we will offer a wide variety of premium foods, healthy treats, unique toys, designer collars and leashes, stylish bedding and grooming products to pamper your pet. Grooming, Boarding and Daycare Services. An Alternative to Leaving Your Pet in a Caged Environment While You're Away! Online Radio Program emphasizing the spiritual/animal connection as well as focusing on those who are doing good for our animal community. 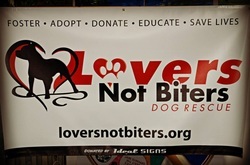 Lovers Not Biters Dog Rescue is a non-profit dog rescue (501(c)(3) status pending) dedicated to saving homeless and abandoned dogs from euthanasia in overcrowded high-kill shelters. Lakeview's very first Do-It-Yourself dog wash, novelty pet store, and "Barkery" offering a wide array of homemade, organic treats. 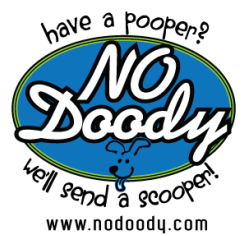 You bring your dirty dog and we provide anything you could need to leave you and yours squeaky clean, happy, and healthy! Take the Bark to the Park in Historic City Park! Serving the New Orleans, Up Town, River Ridge, Harahan, Mandeville, Metarie, and all areas in between. Orleans Parish, Jefferson Parish, St. Tammany Parish and the list goes on. If you don't see us in you area just ask, we can try to accommodate. South Mississippi we would like to serve you too! !